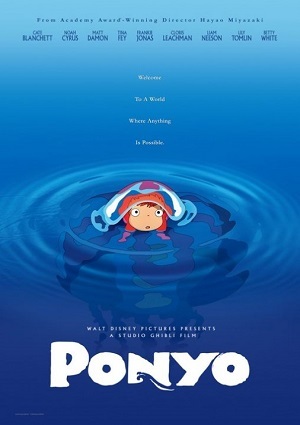 Ponyo is a Japanese animated film that tells the story of Sosuke, a boy living at the coast with his family. Sosuke one day finds Ponyo while playing near the beach. Ponyo is a goldfish that wants to become human and travels the ocean with his friend. They start a friendship that rapidly turns into love. Ponyo father is the king of an empire under the sea, and he would not let his daughter get out of the ocean. Now Sosuke and Ponyo need to find a way so they can be together without Ponyo father stopping them.